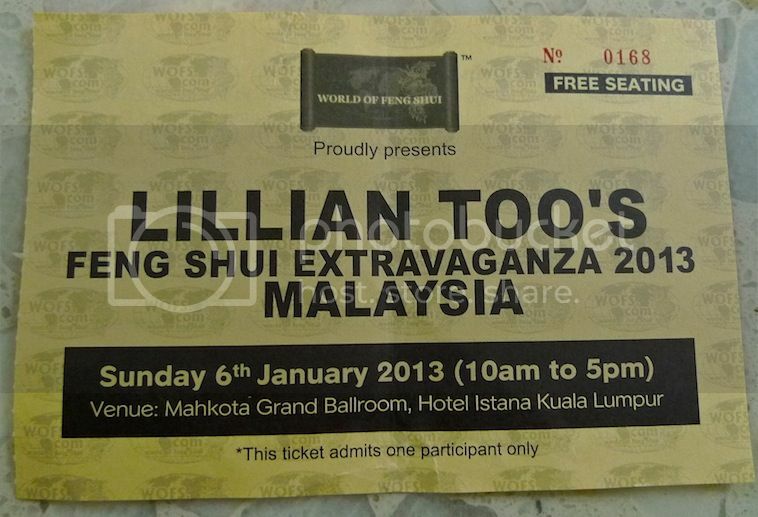 Two weeks ago, I attended Lillian Too's Feng Shui Extravaganza 2013 at Hotel Istana in KL. 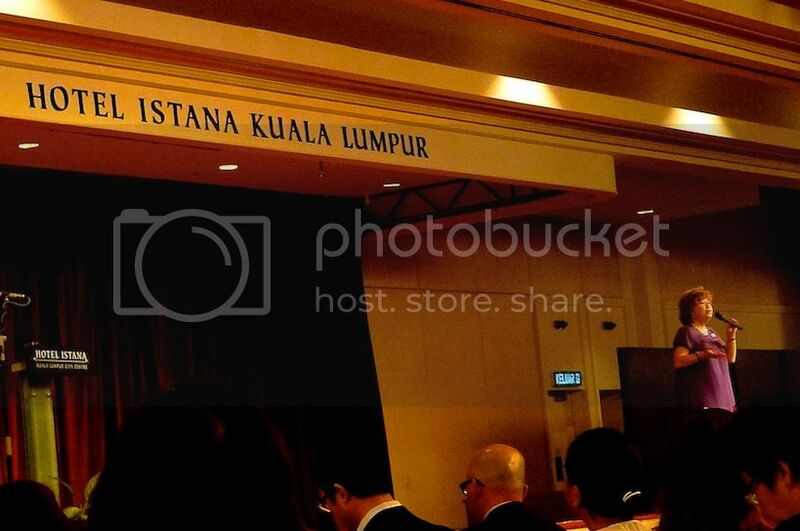 It was the first time that her annual feng shui talk was held at Hotel Istana, the previous years being held at the KL Convention Centre, which was bigger and could accommodate more people. Perhaps she chose the smaller venue this year due to the dwindling crowd? Notice my auspicious ticket number? LOL! Too bad didn't win the lucky draw! In any case, I prefer the KL Convention Centre as the seats were more comfortable. And you do need comfy seats for a full-day talk like this. So it was hardly surprising when Lillian asked the audience if they like the new venue and she was greeted with a resounding "No!" It was amusing to see that despite Lillian's attempt to persuade the audience to like the Mahkota Ballroom, saying it was cozier, newly renovated, and the huge crystal chandeliers in the centre of the ballroom were a great source of good energy creating auspicious feng shui, no one was on her side, at least from what I saw. Oh well, hopefully we'll return to the KL Convention Centre for next year's feng shui talk but I have a feeling it will not happen. I guess with less and less people attending her talk in recent years (a lot have probably jumped ship to Joey Yap's) it does not make business sense to hold the talk at a huge venue like the KL Convention Centre. A hall with half empty seats also would not make her look good, would it? Lillian had hinted at the possibility of Mandarin Oriental, the venue that she used those days before she moved to the bigger KL Convention Centre, so we shall see. But enough about the venue! 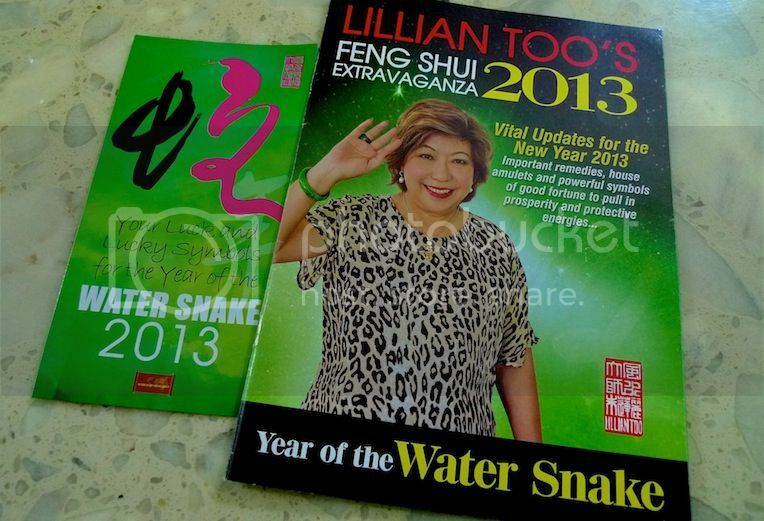 Let's go straight to what Lillian shared with us at this year's annual Feng Shui Extravaganza! Before I begin, I would like to thank all my loyal readers who keep coming back to my blog each year just to read the annual feng shui updates and my reviews on both Lillian Too and Joey Yap's feng shui talks - You have made writing this post worthwhile. To those who have emailed me asking when I will be posting about either Lillian or Joey's feng shui updates, thank you for your patience! Lillian Too started the Extravaganza by saying that the year 2013 is the year when good luck comes, it comes in doubles. But when bad luck comes, it also comes in doubles! 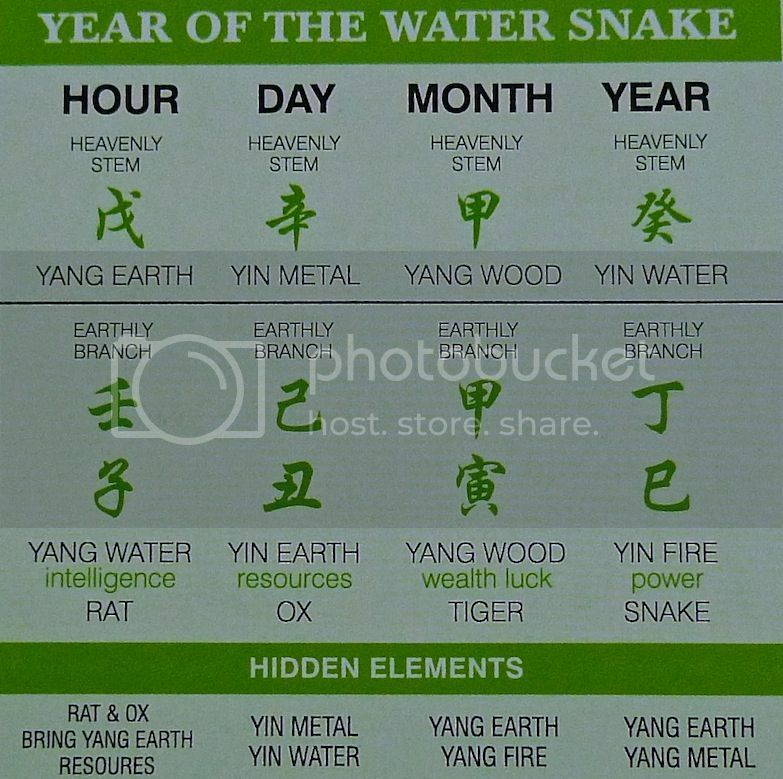 Our country Malaysia seems to benefit from the Year of The Snake as we have good feng shui! Does this mean that no matter how the election results turn out this year, Malaysia will continue to prosper? Lillian's feng shui talks almost always centered around her huge number of feng shui products, and this year it was no exception. Her method is simple - identify the bad sectors in your home and buy her products to cure the afflictions in those sectors. This is where some people think her talk is too commercialized. However, during this extravaganza, Lillian emphasized the power of symbolism as the true secret of feng shui. Everything in life, according to her, is symbolic. Certain types of symbols have certains types of power. 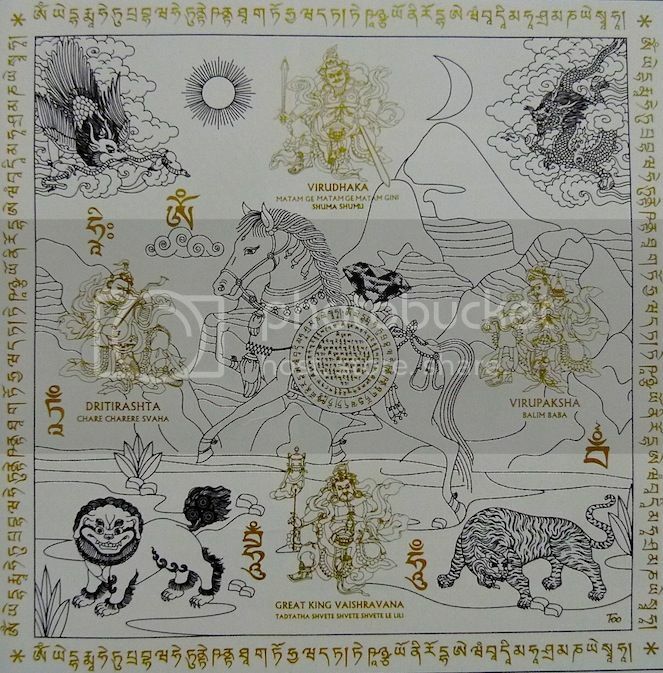 As such, objects or symbols have the power to remove or reduce the bad feng shui afflictions. In the same manner, certain objects have the power to enhance good feng shui. 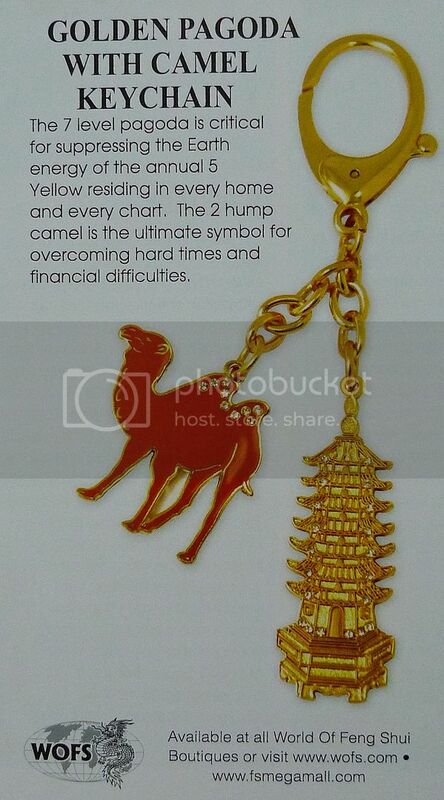 Carry the pagoda and camel keychain to overcome financial difficulties and bad luck! To know whether the year 2013 is good or bad, feng shui practitioners usually analyze the Bazi Chart and the Flying Star Chart for 2013. Don't know what is Bazi and Flying Star? Click HERE for Bazi 101 and HERE for Flying Star 101. To know how to read the Bazi Chart, you must first understand the relationship between the 5 elements (ie. Water, Wood, Fire, Earth, Metal). Here's a quick rundown on the 5 elements. Now the good news. According to Lillian Too, the Bazi Chart for 2013 is a pretty good chart - well balanced with all the 5 elements present. 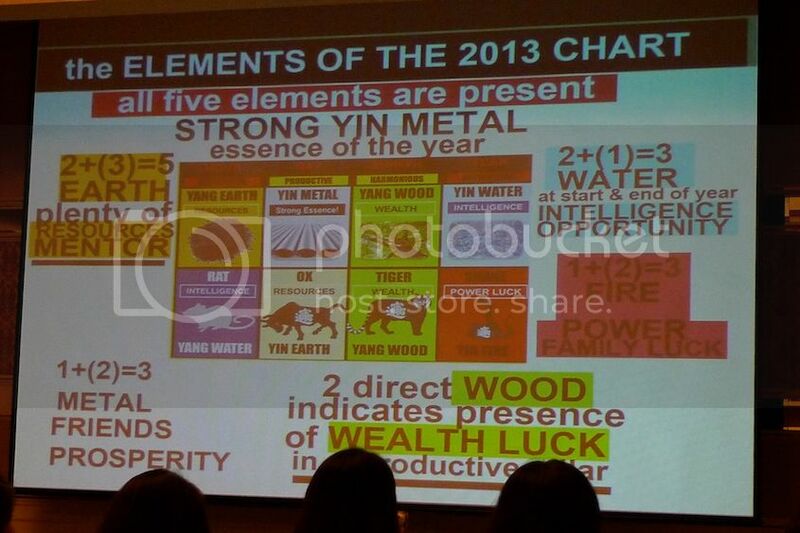 Can you see the presence of Water, Wood, Fire, Earth and Metal in the 2013 Bazi Chart below? Another good news - only 2 out of the 4 pillars are clashing. The Year Pillar with Water putting out Fire, and the Hour Pillar with Earth controlling Water. If you recall, the year 2011 has all the 4 pillars clashing making 2011 a very destructive year. The world experienced tsunami in Japan, forest fires in Arizona, tornadoes in USA, riots in Britain, economic crisis in Europe, floods in Thailand, just to name a few. Click HERE for the 2011 Bazi Chart. In 2012, the number of clashing pillars were reduced to 3 - still pretty bad. There were earthquakes, floodings and other calamities, but of course, the much anticipated 'Doomsday' did not materialize. (If you compare the 2011 and 2012 Bazi Chart, you will know Doomsday is more likely to happen in 2011 instead of 2012 haha!) Click HERE for the 2012 Bazi Chart. Now in 2013, there are only 2 clashing pillars, so the situation is definitely much better. The clash in the Year Pillar suggests that intelligence, mental capability and creativity is needed to overcome the raw use of power in the beginning of the year. The clash in the Hour Pillar indicates that strong availability of resources is more important than intelligence or creativity towards the end of the year. Also, the end of the year favours the very rich! This year's Bazi Chart also have one productive pillar in the all-important Day Pillar which sees Earth producing Metal. This actually suggests the year benefits those who have the goals and determinations to strive for success. The appearance of Rat and Ox in the Chart (they are 'secret friends' by the way) suggests a strengthening of goodwill and tolerance. As such, international conflicts will ease and diplomacy will work well to bring peace in 2013. US President Obama being an Ox, will have a good year, it seems. The presence of 2 Woods in the Chart bring wealth and success. It's an excellent year for businesses to expand and refocus. It looks like everyone has the chance to see better times during this year. Water destroying Fire in the Year Pillar also indicates problems related to the heart and eyes. It is therefore necessary for those with heart conditions to take things easy. I guess this also means heart and eyes specialists will have better business? Employment and stock market will rise this year. There will be plenty of buying opportunities. The second and third quarter of the year looks very bullish. The wood in the Month Pillar strengthens the 'Wind Horse' which brings success. Lillian suggested that everyone gets the Wind Horse Plaque (below) for victory and success. This powerful house amulet made as a ceramic plaque is printed with the image of the magical Wind Horse together with the 4 Great Kings and 4 celestial protectors. Around the images are powerful seed syllables and mantras. 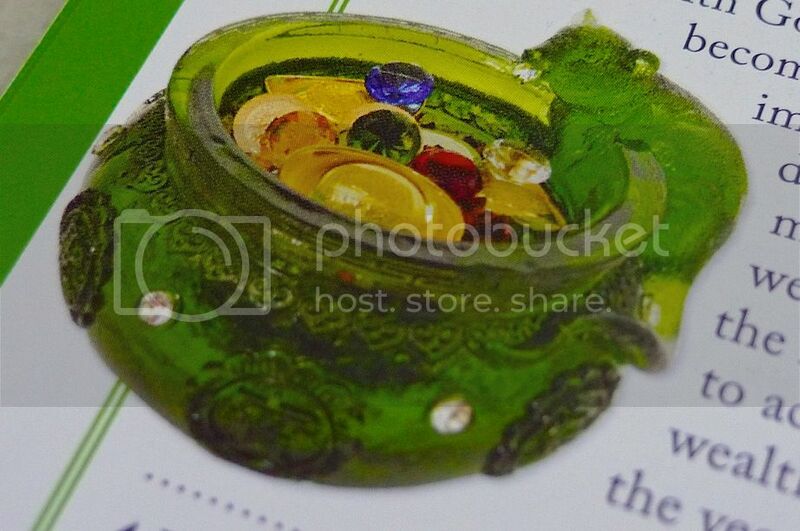 Display anywhere in the home and it should activate the success luck of the year. Another alternative is to wear jade as jade helps to strengthen the wind horse and wealth luck. Placing the Jewel Sprouting Mongoose Wealth Bowl in the centre or the North East sector of the house also helps to activate the wealth luck for the year. If you look at the Bazi Chart, you will see there are hidden elements at the bottom of the chart. 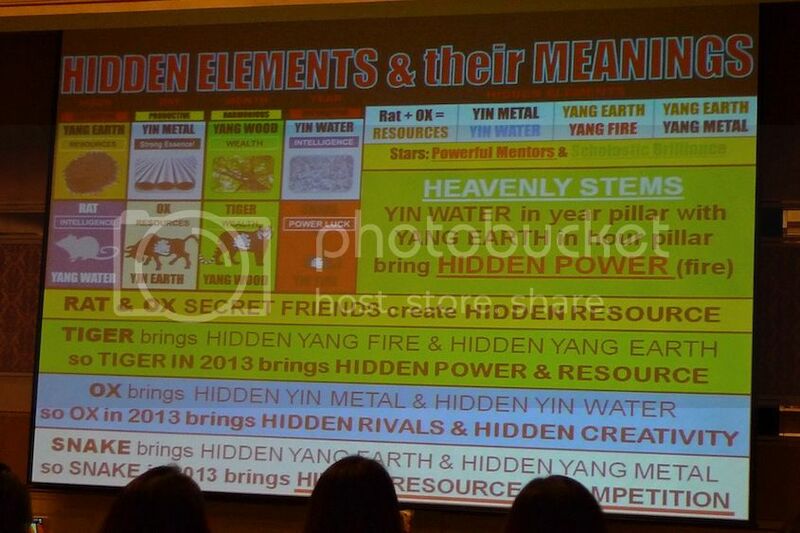 Here are some of the meanings of those hidden elements that Lillian Too shared with us. Yin Water and Yang Earth bring hidden fire, which suggests hidden power. Rat and Ox being secret friends bring hidden resources. 2 major stars make their presence in this year's Bazi Chart. One is the Powerful Mentors Star which indicates the help of someone influential in the career path of young people. Lillian suggested (jokingly perhaps?) putting a picture of Malaysian Prime Minister Najib in the home to activate the powerful mentor star! Haha! The picture must be someone of power so if you don't like Najib, you can put Obama or anyone who is currently in power. The presence of the Scholastic Brilliance Star in the Chart indicates intellectual pursuits of all kinds will bring satisfaction. Placing a crystal globe in the bedroom will boost the power of this star. 2013 is also a year with missing 'lap chun'. Lap chun is the first day of spring in the Chinese Lunar Calendar. Since the New Year starts without spring, this indicates slow economic growth at least in the first quarter. The second quarter will be slightly better since there are yang wood in the Month Pillar. The third quarter sees a productive Earth creating Metal so world economies should recover at this period and it will be the best time to expand and to look for strategic alliances. The last quarter sees Earth destroying Water - it's best to stay calm and not make any rash decisions during this time. Overall, the Snake Year 2013 looks pretty good with opportunities for wealth creation but it is also what spiritual masters refer to as a NAGA year. NAGA is a Sanskrit word for hooded snake and this year, the NAGA spirit is at full strength. Therefore, Lillian advised everyone to be careful and reminded us to wear our personal amulet protection at all times to protect against bad luck and disasters. So far, we have only looked at the 2013 Bazi Chart. In Part 2, we shall look at the 2013 Flying Star Chart to discover the good and bad sectors in our home and how to remedy the bad stars and enhance the good ones!